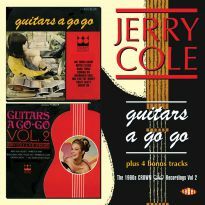 I first encountered Jerry Cole’s music, like many others, without realising it. 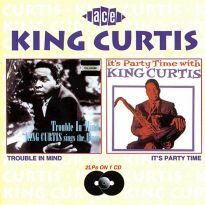 To explain: when the original Ace-man Ted Carroll had his Friday morning stall at London’s Golborne Road he had a few Crown label albums that obviously tickled his fancy. 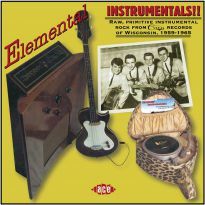 He knew how cheaply they were produced, and how the covers would change whilst the music stayed the same; we both enjoyed the bright covers. 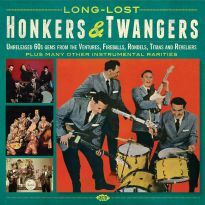 These usually featured prominent reds and yellows to catch the eye of buyers in the oddball selection of stores in the US where this had been on sale. 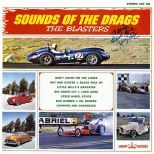 As a surf and drag collector I was immediately attracted to albums by The Blasters, The Hot Rodders, The Scramblers and Don Dailey. 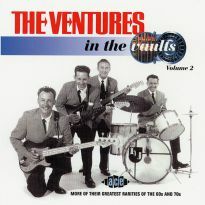 Although they didn’t reveal any vocal harmony goodies, they certainly offered up a variety of well-played instrumental tracks, which was hardly surprising when we learn that they were being played by one of the leading session guitarists on the west coast scene, along with many of the now famous names from Spector’s Wrecking Crew. 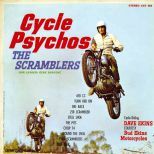 Crown Records, an offshoot budget LP line founded by Modern Records owners, the Bihari brothers, in 1958, offered no details as to the ‘groups’ who played on the albums. Similarly no writer credits were given, so when Ticket To Ride appeared re-named as Sunset Strip on a Jerry Cole & The Stingers disc we can probably conjecture that publishing royalties may not have reached Lennon & McCartney’s coffers. 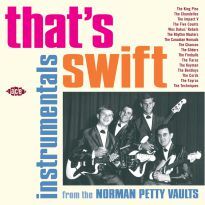 Plenty of shortcuts were made in the packaging to make the whole thing viable, but the one, most important, detail was done correctly: they got decent players in to cut the tracks. 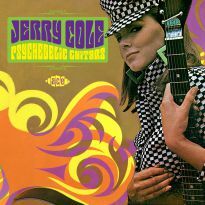 For Jerry Cole and his sidekicks, making albums like these were quick and easy, but the actual playing was never compromised. 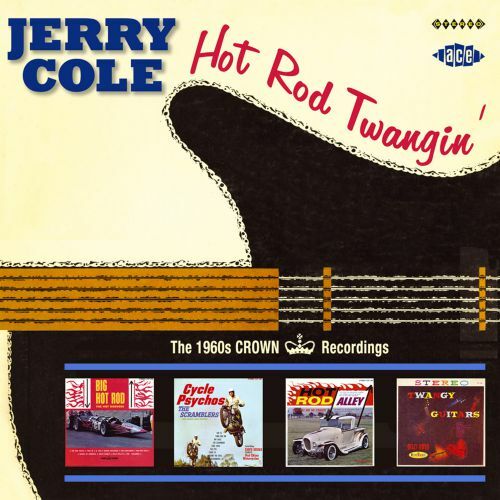 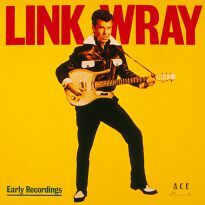 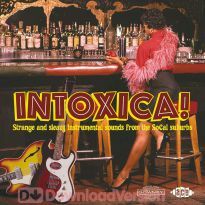 The tracks collected here on HOT ROD TWANGIN’ cover the years 1960 to 1966, and as such reflect the growth of guitar technology and musical changes of the time. 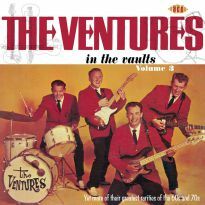 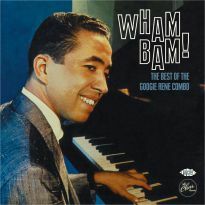 The earliest ones, sold under the name Billy Boyd, still retain the distinct R&B feel of the late 50s, whilst the Ventures’ influence is evident on several from the 1963/4 period. 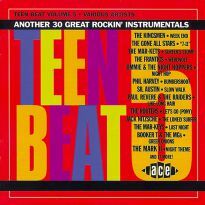 By 1965 the arrival of the fuzz effect pedal gave us the menacing Mustang from the Stingers, and by 1966 Cole was utilising a more multi-layered sound evident on Twelve A Go Go or Hip Hugger. 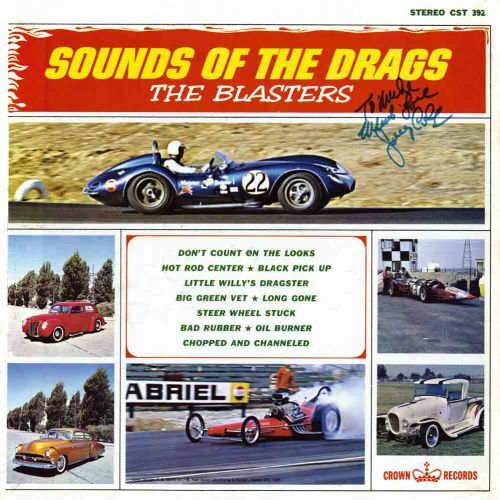 Here and there we get suitable hot rod and cycle rev-ups leaping from one speaker to the other, and with the 1964 cut Oil Burner these sounds almost become part of the musical introduction. 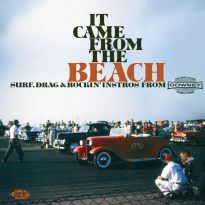 With the continued growth of surf and hot rod collecting, the albums represented here have attracted much more interest than their original paymasters would have ever envisaged, but with their undoubted musical worth, they do deserve attention. 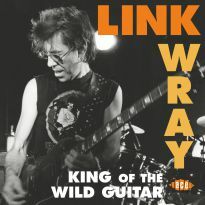 The CD re-issue notes tell the whole wonderful story, complete with input from Jerry himself. 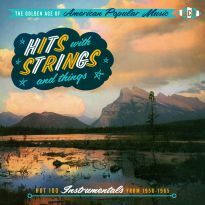 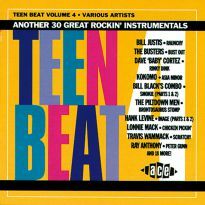 One of the original LPs I bought from Ted had a whole set of posed hot rod and woodie photos lurking inside the cover, and while this compilation doesn’t quite run to that, you do get a great set of instrumentals from the golden era.